A fun and exciting firefighting simulation game for young players where no one gets hurt. 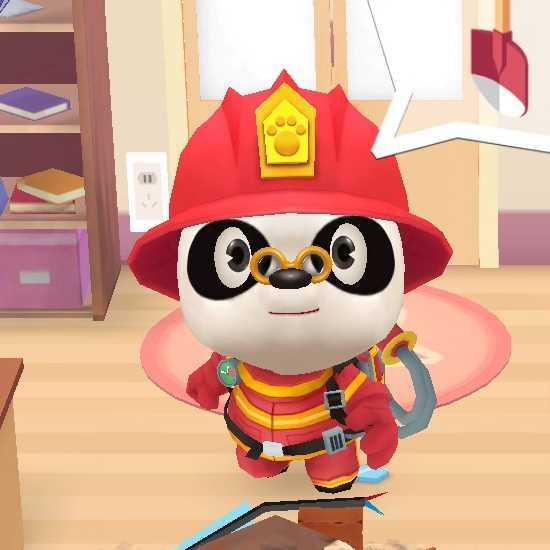 Dr. Panda Firefighters is a high-octane firefighting simulation game for young children, where no one is ever hurt. Your child takes on the role of a firefighter and joins Dr. Panda and his friends Ollie the Elephant and Bip the Monkey to put out fires in 30 different rooms. By saving lives, your child becomes a hero or heroine while also seeing how fires are fought. 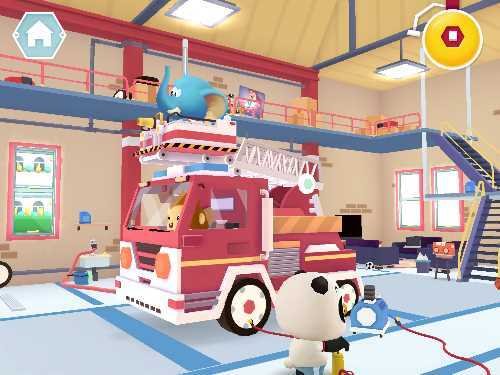 Each rescue starts in the fire station, where players can explore the scene by opening drawers, turning on the radio, and checking out the inside of the fire engine. When ready to go on a rescue, the player sounds the alarm. Dr. Panda, Ollie, and Bip run to the uniform room where the player helps them to don their coats, hats, and gloves. Then the three firefighters slide down the pole to the waiting engine below. 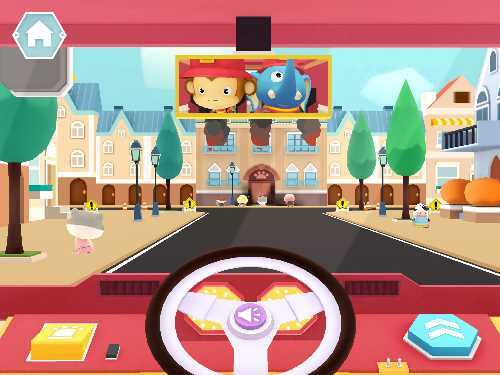 While driving to the fire, the player can control the steering wheel and make the siren roar (however, if they do nothing, the truck will drive itself). Upon arrival at a burning building, the app shows the player an overview of the rooms. 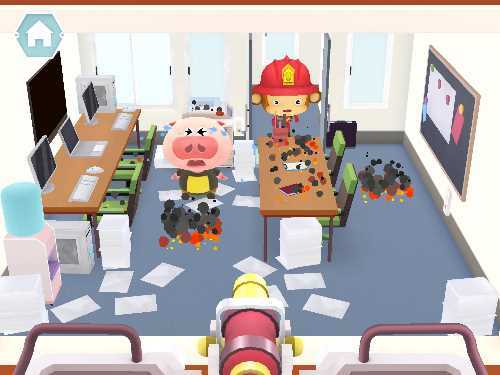 Then the player watches the firefighting team as they break down the doors and systematically go from room to room, rescuing trapped animal characters, clearing fallen debris, and extinguishing fires. 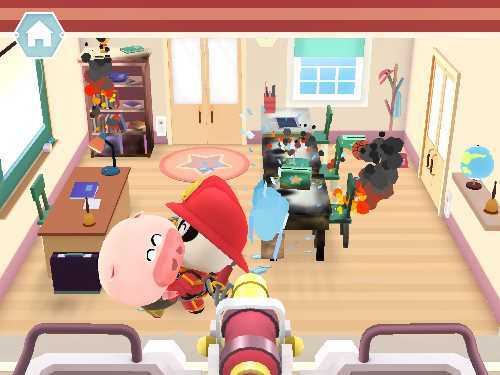 While Dr. Panda and Bip the Monkey head inside of the burning building, the player stays on the fire engine with Ollie the Elephant. The player hands the firefighters tools, such as axes, buckets of water, or shovels, so that they can clear obstacles and reach the scared, trapped residents. Kids also man the water hose and direct its stream to put out the fires burning on every floor of the building. Dr. Panda Firefighters does a good job of presenting a realistic fire simulation without creating a scary situation that feels like it is out of control. Dr. Panda and his fellow firefighters always rescue the trapped characters and no one is ever hurt. While kids do see the trapped animals shaking and crying in fear, they also witness the firefighter reaching the animals and then calming them down so that the player can pluck the animal out of the building and place them in the fire engine. This simulation puts kids in charge of the rescue by having them put out the fires with the hose, hand all of the tools to their fellow firefighters, and bring the trapped animals to safety. Putting out all of the fires can be a little tricky but it isn't a requirement to move on to the next floor. This app focuses on rescuing the trapped characters. When the rescue is done, kids feel a real sense of accomplishment. However, since the gameplay is similar in every rescue, older kids will notice the repetition. Dr. Panda Firefighters is best for young kids who have a fascination with firefighters and fire stations. It lets them live out a fantasy of being a firefighter. While the app doesn't contain any safety tips, parents can use this app to start a conversation about fire safety. It is never too early to talk about "stop, drop, and roll" with your kids. 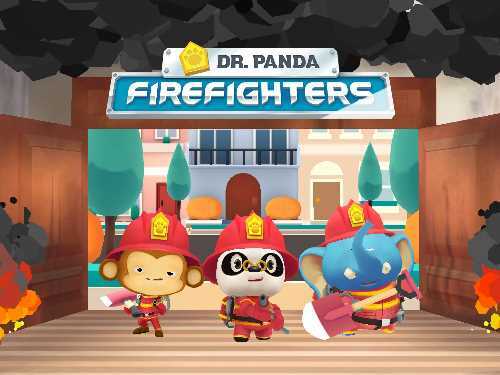 This Dr. Panda Firefighters app review was written by Jinny Gudmundsen.